We are seeking a 2D Artist/Animator with a true passion for what they do to join our team. The position is full-time and is based in our office in Mumbai, INDIA. We are looking to hire the brightest, most passionate, dedicated person we can find. If this sounds like you, then you will fit right in. 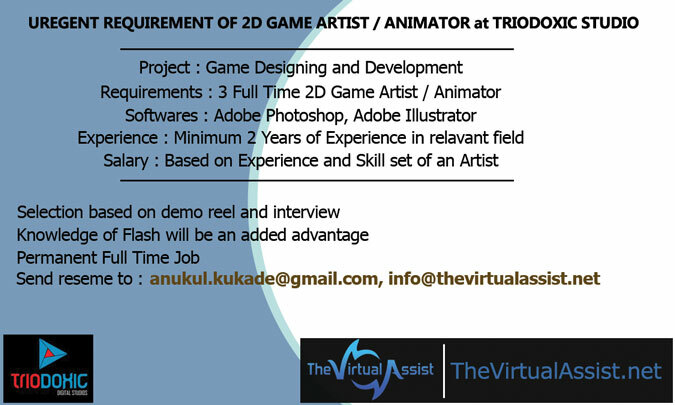 Send your resumes to jobs@triodoxic.com, info@thevirtualassist.net.